Counterfeiting is a rampant and growing problem—currently the estimated worldwide market value of counterfeit goods exceeds $650 billion dollars. The fraudulent sale of products luxury goods, textiles, wine and spirits, including pharmaceuticals, damage the revenues and reputation of targeted brands. Therefore, it is critical to continuously insure consumer confidence and increase the perception of trust. WISeKey offers a full range of anti-counterfeiting solutions that enable consumers and retailers to verify the authenticity of products before purchase. This is achieved by scanning the label with a NFC (Near Field Communication)-enabled smartphone or device. 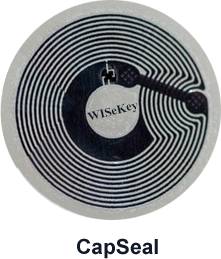 Additionally, WISeKey solutions allow suppliers and brand owners to globally track their products and engage with consumers at the point of sale and beyond to build brand loyalty.To date, alternative anti-counterfeiting solutions have been largely ineffective because counterfeiters have been able to replicate or circumvent the security features meant to deter fraud. In a cost-effective manner, WISeKey offers the only anti-counterfeiting solution that is based upon Common Criteria (EAL4+) for object identification and FIPS 140—meaning the solution provides the same level of digital security trusted by banks, the U.S. Department of Defense and l’ANSSI in France. In other words, the consumer becomes the brand inspector!